Businesses may require extra finance for any number of reasons, from investing in capital assets to simply paying the monthly wages. One size no longer fits all when it comes to business loans, so it’s important to consider the different lending options available before deciding which is right for your company. Let’s look at some of the most popular alternatives to traditional business loans, and discuss the pros and cons of each. Cash flow problems for SMEs are primarily due to late-paying customers, and businesses that rely on regular incoming payments from other businesses are most at risk. These types of businesses may benefit most from factoring or invoice discounting, two forms of invoice financing. With factoring, you hand over your business’ invoices to a factoring company upon issue and receive a percentage (up to 100%) of the invoice amount upfront. The factoring company then chases up the customer on your behalf. Once the invoice is paid, the difference is repaid to you minus a fixed fee. If you don’t like the idea of handing over control of your business sales ledger to a factoring company, invoice discounting is a variation that enables you to keep more control. The main advantage of IF is that you get paid as soon as you issue an invoice, allowing you to manage your business cashflow more efficiently. You also save considerable time and effort by not having to deal with customers directly and, as interest only accrues on unfulfilled invoices, you get to clear your debt every time a customer pays. Of course, paying a fee to a factoring company means less profit for your business and you’ll still be liable for invoices that remain unpaid. With merchant cash advances, you receive an upfront cash amount and repay it based on a percentage of your business’ future credit card sales. This means you pay back less in lean months, helping ease cashflow problems. Merchant cash advances do, however, carry higher interest rates than traditional loans and because this sector is not currently regulated, it’s important to research companies thoroughly beforehand to avoid illegitimate lenders. 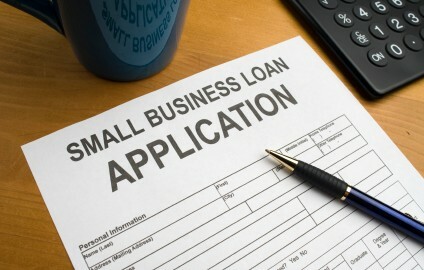 Asset-based lending allows companies to use their existing assets to secure loans. Businesses provide an initial deposit of 10-20% of their assets and pay a monthly fee thereafter. AF often involves hire purchase or leasing and is good for businesses that don’t have upfront cash to fund a capital purchase. While these loans are fairly easy to obtain, they also have relatively high interest rates and fees.